As the clock ticked to 2 a.m. on Sunday, Tropical Storm Florence had claimed at least a dozen lives across the Carolinas, including a mother and her young child. Major flooding had swamped some areas of the two states, leading to hundreds of rescues in the North Carolina city of New Bern. The massive storm looked ready to linger and dump rain for days, according to reports. Nearly 800,000 people were without power on Saturday, according to ABC News. That didn’t stop rumors from swamping social media. A viral post on Facebook claimed that the storm’s first death was a man who’d shot a gun at the hurricane. It was, of course, false. The National Weather Service‘s Raleigh office issued a tornado watch on Saturday night, lasting until at least 7 a.m. EDT. Other areas of North Carolina were under a flash flood warning. Close to 1,000 flights in and out of the United States were canceled on Saturday and Sunday due to Tropical Storm Florence, CBS reported. As rescue teams from across North Carolina and the Federal Emergency Management Agency continued to respond to the storm, everyday Americans began to wonder how they could help. Basketball star Michael Jordan, who now owns the Charlotte Hornets, has launched a website with the NBA to direct people to legitimate organizations in need of donations. The state of North Carolina is accepting direct donations at Gov. Roy Cooper’s website, while the One SC Fund is also taking donations for Tropical Storm Florence relief. Both states are asking volunteers to stay away from disaster zones for now. Those who “self-deploy” may mean well, but could simply give trained responders more people to rescue from Tropical Storm Florence. The New York Times published a more extensive list of how people could help, and how to avoid being taken in by fraudsters. Tropical Storm Florence isn’t the only wild storm causing problems this weekend. Typhoon Ompong, also known as Typhoon Mangkhut, slammed into the Philippines on Saturday morning, killing at least two. 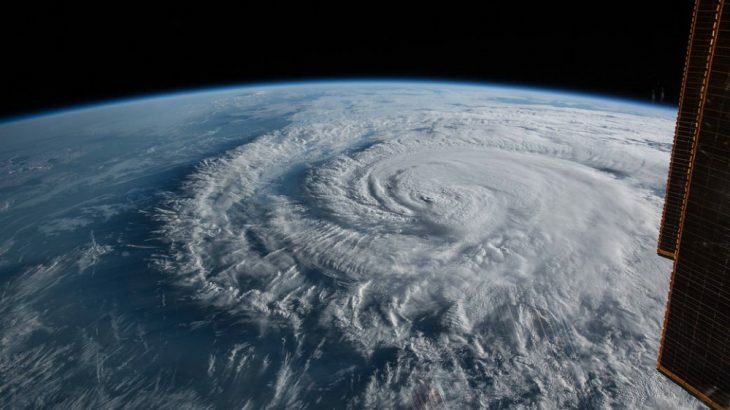 It tore roofs off of buildings, flung trees and debris onto roads, and caused widescale flooding before moving on toward China, CNN reported.